This advanced anti-aging cleanser is specially formulated to effectively remove excess oil and makeup without disturbing skin’s barrier. Vital skin-repairing ingredients, such as ceramides and hyaluronic acid, cushion skin’s intercellular matrix, leaving skin exceptionally smooth, soft, and younger-looking. Splash the face and eye area generously with tepid to slightly warm water. Spread a small amount of cleanser (1-2 pumps) over your fingers and apply to facial skin and the eye area with gentle circular motions. Rinse well and pat dry with a soft towel. For best results, follow with Resist Advanced Weightless Repairing Toner. Water, Sodium Lauroamphoacetate, Sodium Cocoyl Isethionate, Stearic Acid, Glycerin, Glycol Distearate, Helianthus Annuus (Sunflower) Seed Oil, Sodium Hyaluronate, Ceramide NP, Ceramide AP, Ceramide EOP, Phytosphingosine, Phospholipids, Sphingolipids, Lecithin, Arginine, Cholesterol, Aloe Barbadensis Leaf Extract, Disodium EDTA, Sodium Chloride, Sodium Hydroxide, Sodium Lauroyl Lactylate, Cetearyl Alcohol, Acrylates Copolymer, Xanthan Gum, Carbomer, Caprylyl Glycol, Hexylene Glycol, Phenoxyethanol. This is a lovely creamy cleanser perfect for my oil skin. I have notice an improved difference. 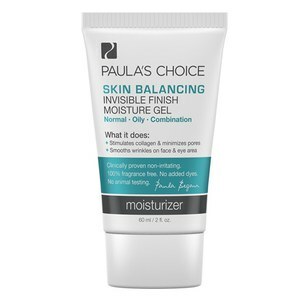 All Paula range used together has cleared up my acne and have continue to use her products.